Bolton Field, Columbus OH, Sunday afternoon in the hot June sun. 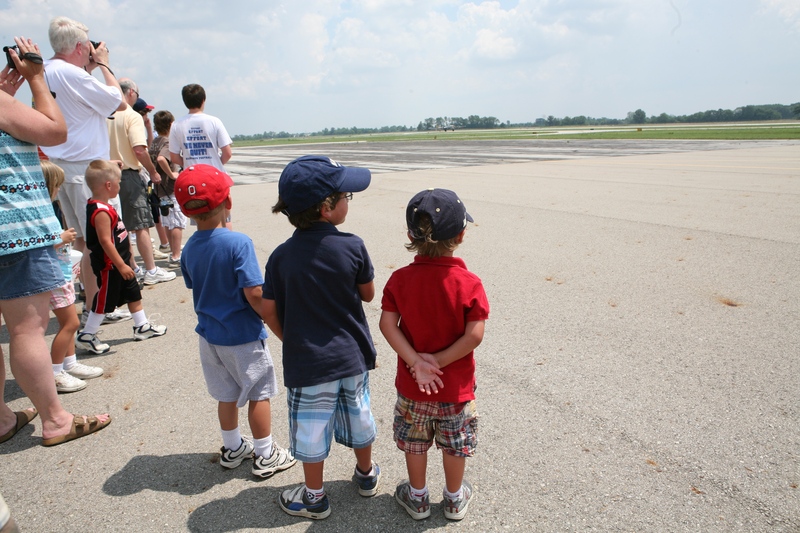 My grandsons and a friend watch the sky for the Liberty Belle. The boys loved going to the airfield to check out the B-17. Such cute little guys – full of expectation. Gotta love boys!!! Red, white and blue – a patriotic trio. Love the way the sweet little guy in the red shirt is holding his hands behind his back. Nice shot! Look how cute Jack is with his hands behind his back. Don would of loved to go see the planes, to bad it was not this weekend.